Along with the standard early variations that come up repeatedly in the 1910s, there are also numerous little foxtrot variants that turn up only once and were probably not generally popular. Despite the name, the "Castle Favorite", presumably a reference to the famous ballroom dancers and teachers Vernon and Irene Castle, does not turn up in any source I have that is actually by the Castles. Instead, it appears in Edna Stuart Lee's Thirty Fox Trot Steps (New York, 1916), a wonderful little source for unusual early foxtrot variations. I don't necessarily rule out a connection with the Castles, but given how creative Lee was with variation-names, I am not taking it as a given without some actual proof. 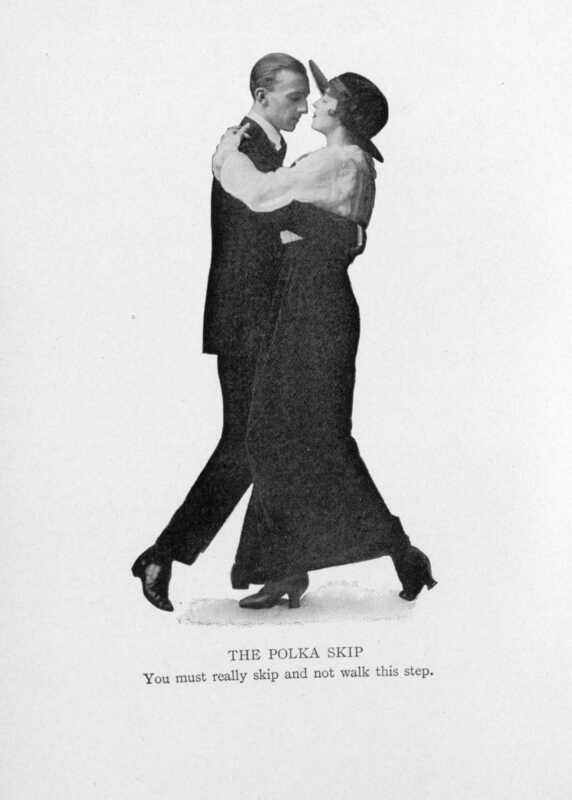 Lee calls this a "rather difficult step, requiring considerable practice and possibly not adapted to ordinary social dancing". That seems an exaggerated level of concern to me; it's not difficult to dance or to lead, and I see no reason not to include it in social dancing other than it being too uncommon to bother learning. I used the Castle Favorite (along with the Cavalry Charge) recently in a dance reconstruction class in Novosibirsk, Russia, as an exercise for my students in reconstructing basic ragtime dance variations. They mostly came up with pretty much the same result I did, after some clarification of "over" vs. "over to" (as in "Draw the right over to the left.") All props to them, since they were forced to work in a language they don't speak natively! The Castle Favorite is done in a standard close ballroom hold, traveling along the line of dance, with the gentleman going forward and the lady backward. 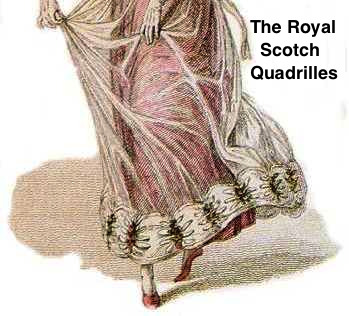 The gentleman's steps are given below; the lady dances opposite. Counted as slow and quick steps, this would be SS QQQQ QQS QQS. For social use: the hop is easily led; the lady will feel it immediately. The only remotely tricky bit is making sure that the closes of the feet in the third and fourth bars are without weight. The gentleman needs to make it clear that his weight is staying on the original foot. But it's more likely that a lady unfamiliar with the variation will not close her foot at all, or simply let it drift in, since closing without weight is not a very leadable movement. I've been waiting for most of my life for another horse to win the Triple Crown, and, much to my chagrin, when it finally happened I was working and therefore missed seeing it live even on television, let alone indulging my secret hope to one day see such a thing in person. Arrgh! I will console myself by free-associating to a foxtrot variation: the Cavalry Charge! This was formerly danced in a rather pronounced fashion with long, bouncing running steps, and this form is still splendid exercise for the gymnasium or playground, but for the ballroom the running steps should be very short and the feet barely leave the floor, otherwise the effect is choppy, as in the old hopping waltz. But Lee is very, very fond of having four walking steps at the start of all her foxtrot variations despite the occasional musically-uneven results. She's not the only writer to do that; the Coll turn described at the end of this post was originally a five-bar sequence for the same reason. So it's not a terrible shock to find that the Cavalry Charge, which incorporates the Pony Trot, ends up as a messy seven bars. Personally, I find this so irritating that I choose to chop off the first two walking steps to make it line up better with the music. My reconstruction below reflects this. As is the case for other ragtime variations with cute names (including the foxtrot itself), this variation bears no resemblance to anything that actual cavalry does on the battlefield. But it's fun to dance. The Cavalry Charge is done in a standard close ballroom hold, the gentleman going forward (facing line of dance) and the lady backward. His steps are given below; she dances opposite. Counted in slows and quicks, this is SS QQQQ SQQ SQQ SQQ SS. On each hop, the free foot (gentleman's left, lady's right) is kicked up behind, as in the Hop Turn. My removing of the first two steps makes the Cavalry Charge a six-bar sequence. If that is bothersome, simply add two more bars of dancing to even it out. The distinctive move here is the walk-walk-hop (SQQ) combination, so either inserting another two bars of of that before the hop-free final bar or ending with some two-bar sequence (such as two walks and four trots) will make it add up to a more musical eight bars. Lee notes that this sequence is "splendid for exercise." The post is dedicated to the magnificent American Pharoah, his jockey Victor Espinoza, and his trainer Bob Baffert. Watch the video of the Triple Crown win at the Belmont Stakes here! is like joy riding on a steam roller. How do I follow up a line like that? I can only suggest reading the rest of the ad (click to enlarge) for more delightfully fulsome language. The frock Dansant really must find its compliment in the proper Hat. Yet, how often is it not so? Echo answers, "Often." it is dancing that has made the small hat of tulle or lace fashionable for afternoons in place of wide picture-hats. "Big hats are unpleasant to dance in." Many photographs of Irene in the 1910s show her dancing in a hat -- including her famous "Dutch cap", one very similar to that shown in the ad (though with a more dramatic feather decoration in front), or even one with a small brim. The Newburgh is a longer and more complicated foxtrot sequence taken from Edna Stuart Lee's Thirty Fox Trot Steps (New York, 1916). Like her Left Glide, it changes the lead foot against the music, with same opportunities and issues previously discussed for that move. As is typical, the gentleman starts on the left foot, moving forward, and the lady on the right foot, moving backward. The steps below are the gentleman's steps; reverse everything for the lady. The numbers are beats, not measures. The only reconstruction issue on this step is how the lady crosses: truly opposite (crossing behind) or mirroring the gentleman (crossing in front). Lee never specifies this. While for Lee's Side Swing and Chaplin Trot I came to the conclusion that the lady should mirror the gentleman (both cross in front), for the Newburgh, after experimenting with both options, I feel that the lady should cross behind. On the Side Swing, the cross is followed by a back step, and a back cross tends to blur that into a close. The Newburgh has the opposite problem: both partners are two-stepping along the line of dance, and must turn their sides almost completely toward the line of dance if the full Newburgh sequence is not to have them end up in the center of the room, especially if repeating it twice in a row. A front cross is entirely possible and easy to lead, so it certainly cannot be ruled out, but it makes the the three iterations of cross/two-step rather dull. Unles the dancers are very careful not to turn their bodies, it blurs into a promenade step forward with the inside foot, losing the "cross" aspect. But if they don't turn their bodies, they are effectively traveling face-to-face along the line of dance for nine counts. The swiveling necessitated by the lady's back cross is more work to lead (a strong turn forward of the gentleman's right side and a slight lift help signal the back cross), but it makes the Newburgh a much more interesting sequence to dance. The Newburgh's tendency to send the dancers toward the center of the room makes it, like the Left Glide, a dandy sequence for taking corners -- just start the cross/two-step sequence right at the corner. Turning sides toward line of dance won't be needed on the first two-step; the dancers will already be at the proper angle by virtue of the corner. This will compensate somewhat for the tendency to drift toward the center on the cross/two-step sequence, but it doesn't mean the dancers should avoid compensating for this by turning the dancers' sides toward line of dance -- having the dancers oscillating into and out of the center of the room will cause traffic problems for any dancers following behind them! The three-slide ending still changes the lead foot against the music, but for a very smooth transition into a new sequence leading off on the right foot, Maurice-style, the final count (1) could be treated as the first step of the next sequence of steps. I've discussed before how the two-step and sliding sequences similar to the four-slide galop of the nineteenth century were incorporated into the foxtrot in its earliest years. Other than one 1919 variation from Charles Coll, the two-step sequences described were generally symmetrical, with even numbers of two-steps either in sequence or broken up by walking steps. Slides were generally done in sets of four. Here's another pair of simple "glides" from Edna Stuart Lee's Thirty Fox Trot Steps (New York, 1916) that break that pattern with single two-steps and a set of three slides. The "Right Glide" and "Left Glide" are very accessible variations for foxtrot beginners. Continuing my little foxtrot miniseries, here are two more very easy hesitation variations from Edna Stuart Lee's Thirty Fox Trot Steps (New York, 1916). These are the gentleman's steps; the lady starts on the right foot and moves backward along line of dance. The rocking steps do not travel; they should be done "as though the feet were held rigidly apart by a rocker and the body tipped gently forward and backward by mechanical means", though Lee also noted that they should be "very light, smooth, and graceful" and that the dancers should "be careful not to rock the shoulders, but sway gently with the entire body." The free foot is raised slightly off the floor on each weight shift. The slow, slow, slow, slow, quick-quick-quick-quick pattern of this sequence feels more natural if it follows a walk-trot sequence in that same rhythm pattern, such as the "Fox Trot No. 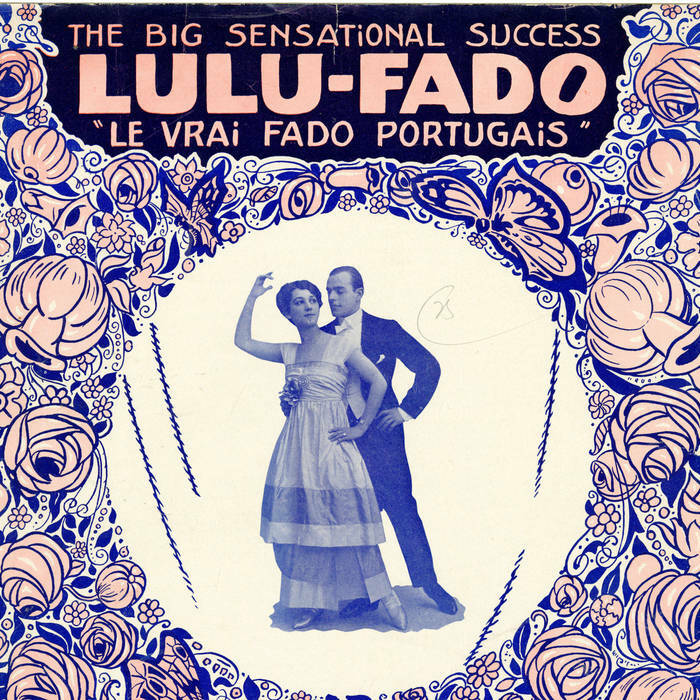 2" described in the second edition of the compilation Dance Mad (St. Louis, 1914) and danced for the camera by Clay Bassett and Catherine Elliott in a short 1916 film, "The Much Talked About 'Fox Trot'." These are the third option listed in my previous post on walk-trot patterns in the early foxtrot. As usual, the lady dances opposite. On the draw, the toe should actually lightly skim (but not noisily scrape) the floor. I prefer to do the two-step on a slight forward diagonal rather than straight out to the side. On the final step-and-draw, shading the right side of the body diagonally forward with a little bit of sway will make the leading the lack of weight change easier. Both of these hesitations are completely leadable and followable by good dancers even without learning the sequences in advance. 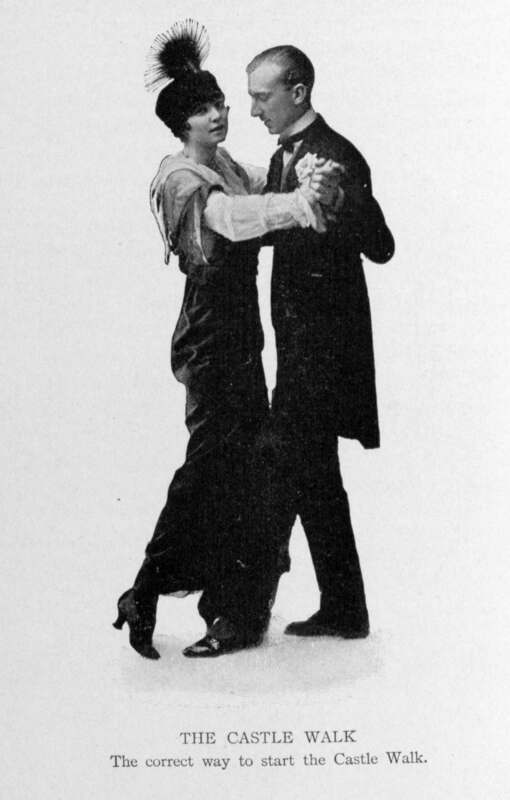 Among the moves described by Vernon and Irene Castle in their Victor Records for Dancing mini-manual (1914) are a trio of moves that are essentially box steps or fragments thereof: a so-called cortez (a.k.a. sentado or syncopated step), a double cortez, and a left-turning waltz. The rhythm is specified as QQS: three steps and hold. These make a nice set of variations to throw into basic walking-trotting sequences and two-step sequences when dancing a 1910s-style foxtrot. 2. SS-QQQQ, followed by four glides QQQQ-QQQQ. The man turns his left side toward the line of dance and the dancers execute a series of four sideways "step-closes" (QQ) along the line of dance. No turn is involved; the first part of the sequence (walking and trotting) restarts on the first foot moving along the line of dance as usual. More interestingly, Maurice Mouvet in his Maurice's Art of Dancing (1915) suggests a series of four slides to the (man's) right and four to the left (the pattern beginning on the man's right foot and hence to the right). Mouvet does not specify whether the dancers make a half-turn after each set of four sideways slides or merely change their angle, with the man moving forward first on the right diagonal and then the left, without a turn, similar to my preferred reconstruction of the racket. He also neglects to mention that the final close of each sideways sequence must be either skipped or a mere touch without weight in order to change feet for either the slide in the other direction or to restart normal walk-trot sequences on the leading foot. If done turning, this series of slides would be very like the basic galop of the Victorian era. But I don't think it turns. Mouvet's right-foot start followed by a half-turn would have the couple turning in reverse, which seems mildly unlikely to me. But more importantly, when writing that earlier piece, I unaccountably blanked on the fact that we actually have actual filmstrip evidence for the sideways glides in a brief silent film clip dated 1916, which shows dance instructors Clay Bassett and Catherine Elliott demonstrating "The Much Talked About 'Fox Trot.'" In the film, Bassett and Elliott dance just what Mouvet described, though they initiate moves, the slides included, on the gentleman's left foot. And they do not turn. With Bassett moving diagonally forward to the left along the line of dance (and Elliott perforce dancing backwards), they slide-close-slide-close-slide-close-slide, joined hands leading the way. Bassett then swings Elliott across his body (counter-clockwise) and leads "over elbows" another series of four slides starting on his right foot, angling his right shoulder diagonally forward. The rhythm overall is QQQQ-QQS QQQQ-QQS. The two dancers never make a turn; she merely switches from his right side to his left side. In the filmstrip, the pair of sliding sequences (left and right) is preceded by four slow walking steps and followed by a series of simple QQS hesitations as described here. These slides are a good thirty years later than the racket, so their lack of turn doesn't really prove anything about the earlier dance, but it's an interesting late example of non-turning galop/slide sequences. the most simple of all the new dances. If you were discouraged when you tackled the tango or maxixe, here is a dance that every one can dance and enjoy with practically no mental exertion. This is a nifty little move from the short Bassett/Elliott film, "The Much Talked About 'Fox Trot' " (dated 1916) and is unlike anything else I've ever seen in a 1910s foxtrot: it actually has a hop. A hop in the foxtrot! That should startle anyone watching you. The sequence isn't terribly difficult and should be accessible once a dancer is past the complete-novice stage. Normal walk/trot sequence, backing the lady. Step out into "Yale" position, right hip to right hip, starting to move into a clockwise turn. Hop! This is on the gentleman's right foot, lady's left and moves slightly forward with the turning momentum of the dancers. Complete the clockwise turn, straightening out to return to backing the lady along the line of dance in normal ballroom hold. Walk, walk, trot-trot, trot-trot, step-out, HOP, turn-turn, turn-turn. The move doesn't have a name as far as I know. I call it the Bassett/Elliott turn or simply the hop-turn. Give it a try! In my previous foxtrot post I covered the basic walking and trotting patterns of the early foxtrot of the 1910s. These patterns are characterized by alternating series of slow (S) or quick (Q) steps, simple traveling interspersed with occasional sideways glides or half-turns, and consistently starting on the same foot (gentleman's left, lady's right). 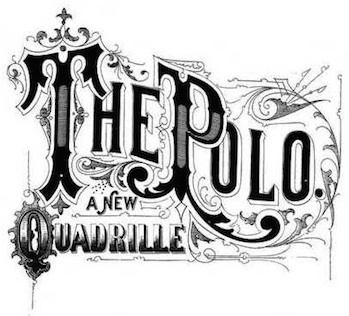 This simple foxtrot was complicated almost immediately by variations of rhythm, most notably the "quick-quick-slow" (QQS, or "one-and-two (pause)") rhythm of the 19th-century two-step and polka. This post will discuss some of the variations introduced in the pre-1920 foxtrot as described by dancing masters Maurice Mouvet (1915) and Charles Coll (1919) and demonstrated by Clay Bassett and Catherine Elliott on film (1916). "What particular resemblance does the gait of a fox have to this dance?" It's a reasonable question. The foxtrot evolved so rapidly after its debut in 1913-1914 that it can be difficult to sort out the earliest versions of the dance and derive an accurate picture of the foxtrot as danced in the 1910s. Directions for dancing the foxtrot first began appearing in print in 1914. 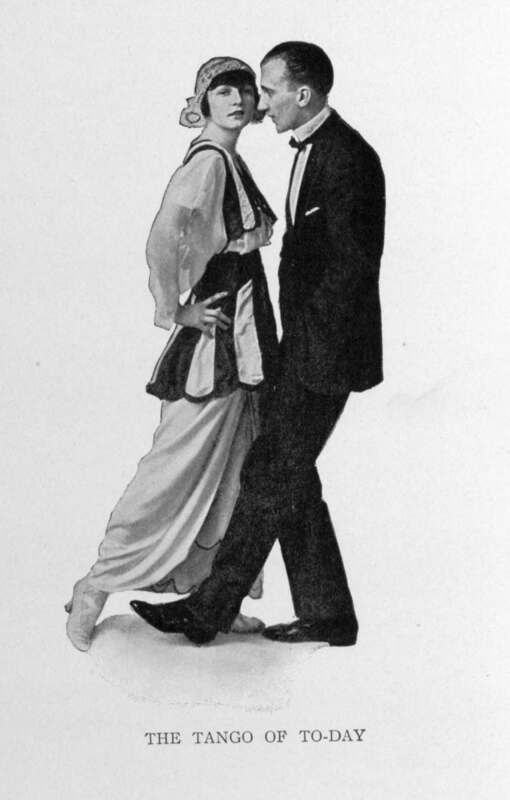 While it did not appear in Vernon and Irene Castle's 1914 work, Modern Dancing, the Castles did include it that year in the booklet Victor Records for Dancing. Two brief descriptions were also published in F. L. Clenenden's compendium, Dance Mad, also published in 1914, in St. Louis. 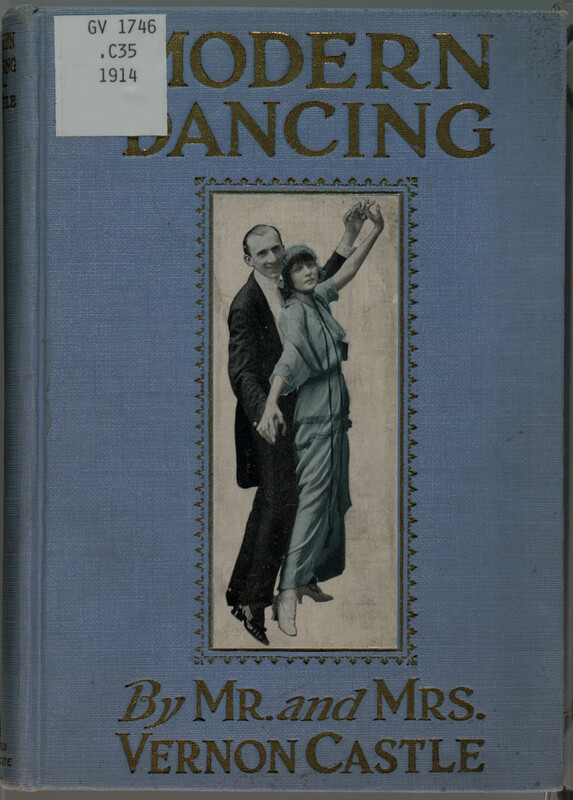 In 1915, Maurice Mouvet published his description of the foxtrot in Maurice's Art of Dancing, followed in 1919 by Charles Coll in Dancing Made Easy (link is to the 1922 reprint). In addition to these written sources, a brief silent film clip dated 1916 shows dance instructors Clay Bassett and Catherine Elliott demonstrating "The Much Talked About 'Fox Trot'."